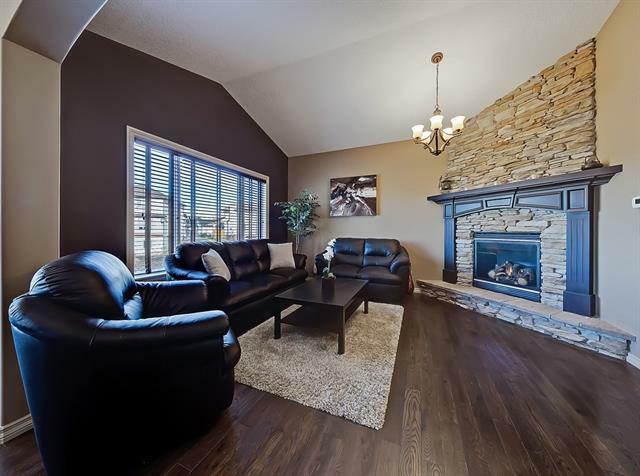 GORGEOUS FULLY-FINISHED BUNGALOW WITH A MASSIVE PIE LOT JUST 10 MINUTES FROM CALGARY! 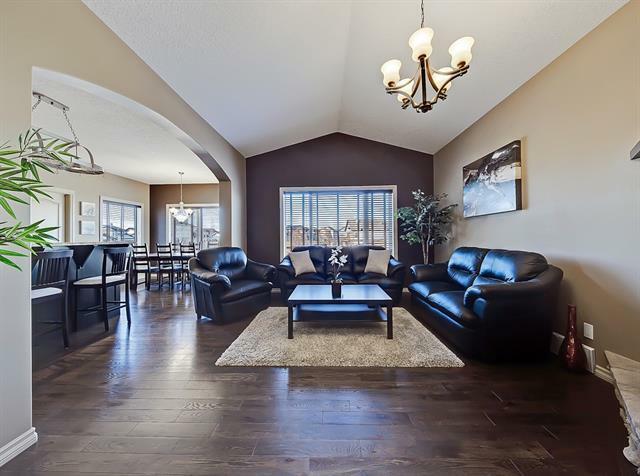 This exceptional custom built walkout home is located on one of the largest lots in Langdon & boasts a long list of upgrades including an exposed aggregate driveway & full-width patio, underground sprinklers, hot tub, central AC, oversized & heated garage with a work area/rec vehicle space, oak hardwood, granite counter tops, 9 ceilings, in-floor basement heating, wood blinds, central vac, main floor laundry & much more. 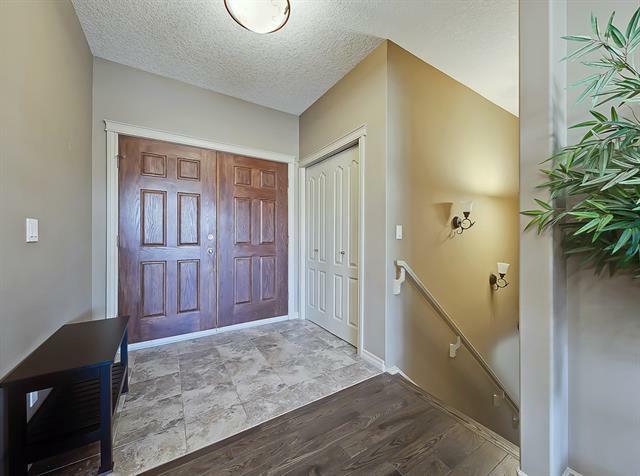 The main level has a spacious master with a walk-in & ensuite with over-sized shower, a 2nd bedroom or office, cozy living room with a gas fireplace, bright dining area, beautiful kitchen with a gas range & a large mud room/pantry/laundry area leading to the garage. The lower level has a rec room with included pool table, home theatre projector/screen, 3rd bedroom, full bath with jetted tub & storage arae. 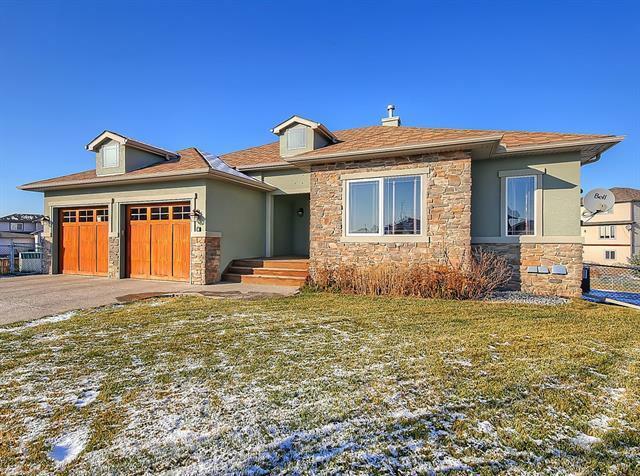 This home is walkable to schools & amenities. Welcome Home.